Where to go skiing in Austria at the end of the season? They open early and they close late – of course, an altitude of just under 2000 metres helps with that! Obergurgl is a non-glacier resort but it is a member of the group that are the last to close. This season they are planning to go through to April 28. Sölden is one of the main glacier resorts in the Tyrol and also offers summer skiing later on in the year. Sölden takes some pride in being a little bit livelier than its neighbour Obergurgl (Obergurgl residents and visitors might say "brasher") and heads towards the end of the winter with the two-day Electric Mountain Festival from April 04-05. The final winter date is April 28 although the resort then switches into spring season mode with reduced ski area (glacier only) and tickets until May 05. Another late-closing non-glacier resort where the snow depths are looking pretty good. Lech currently plans to close on April 28 and the Lech Sister Resort Party celebrating links with German, Japanese and American resorts will take place a couple of weeks earlier on April 13. Ischgl usually gets a superstar "name" to round off the season – this year it is US rock legend Lenny Kravitz who will be playing at the Top Of The Mountain Concert on April 30. Before that, however, there is an Easter concert on the slopes on April 21 with German singer-songwriter Johannes Oerding. The Stubai glacier ski area doesn’t "do" spring closing – they’ll be carrying on through into the summer, snow conditions permitting on some of the highestslopes in the country. Over tothe province of Salzburg and their own high-level non-glacier resort of Obertauern. Located at an altitude of 1750m they are planning to stay open through to May 01. 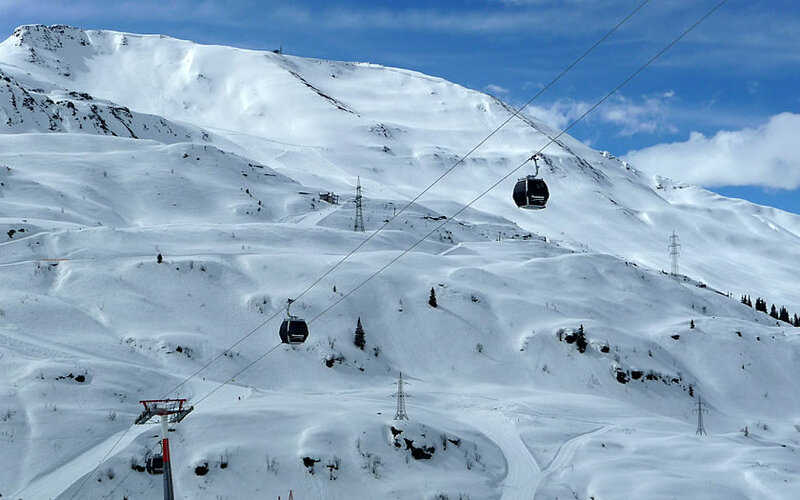 The glaciers above Kaprun stay open well into the spring, given good snow conditions. The official end of the winter is April 28, but the lift passes then move into a spring period which lasts until May 05 and finally changes into a summer mode where skiing is closed until the beginning of December. Enjoy the selection of some of the Austrian ski resorts that we cover that are staying open later this year and take the opportunity to say goodbye to the winter properly!